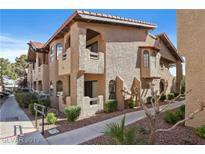 Below you can view all the townhouses for sale in the Flamingo Heights subdivision located in Las Vegas Nevada. 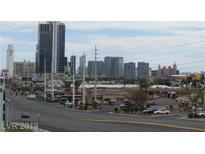 Listings in Flamingo Heights are updated daily from data we receive from the Las Vegas multiple listing service. To learn more about any of these townhouses or to receive custom notifications when a new property is listed for sale in Flamingo Heights, give us a call at 702-323-5933. Shopping , bus line and casinos just down the street. MLS#2086618. Rockin The House. Brand new large expensive A/C units installed recently. MLS#2084635. General Realty Group Inc.
*wonderful 2-story Townhouse In Flamingo Heights*lovely Gated Grounds W/Pool/Spa, Tennis*courtyard Entry Into Home*den*great Room W/Cozy Fireplace*kitchen Has Dining Area/Granite Counters*all Appliances Convey And Are Being Sold In 'As Is' Condition*fantastic Master Bedroom Has Balcony That Overlooks Community Tennis Court*master Bath Has Separate Tub & Shower*great Opportunity To Buy In This Centrally Located Community! * MLS#2083352. Resolution Realty. Community w/pool, spa, tennis & RV parking. MLS#2082692. GK Properties. Terrific Location Makes Great Investment, Home Or 2nd Home*well Maintained Condo Features Sunny Living Room Open To Kitchen W/Option For A Breakfast Bar & Informal Dining*balcony Over Looks The Pool*oversized Master Features Extra Space For Work/Desk, Separate Oval Tub, Double Sinks & Separate Shower & Large Walkin Closet, Plus French Doors To Balcony*2nd Bedroom Also Has French Doors To Large Balcony*living Is Easy In The Flowing Floorplan MLS#2079933. Redfin. Home comes with a 30-day buyback guarantee. Terms and conditions apply. MLS#2077673. Opendoor Brokerage LLC. Living areas have upgraded tile and bedrooms are laminate. MLS#2068458. Compass Realty & Management, L.
Amenities incl: pool, spa, tennis ++! Don't miss it MLS#2061350. Urban Nest Realty. Second Floor Unit * Strip View * Each Bedroom Has Own Patio/Balcony * Pool View From The Balconies * Kitchen Has Granite Countertops With Back Splash * Master Bedroom With Extra Space For The Office * Living Room With Gas Fireplace * All Stainless Appliances Staying *mast See To Appreciate! MLS#2053644. Aspect Realty. Flamingo Heights community 2 pools , spas and tennis. Seller Motivated. MLS#2041623. Rockin The House.